Truck racing began in Australia in 1988 at a rain soaked Calder Park raceway in Melbourne. The race trucks were simply road-going tractor/prime mover units, which were unhooked from their trailers, had a race seat and harness fitted, then put onto the track to race. The trucks came in all different forms with sleeper-cabs fitted and bogie drive units etc. ◦The largest crowd ever in truck racing was at Oran Park in the mid 1980’s with a record 29,596 enthusiasts attending. 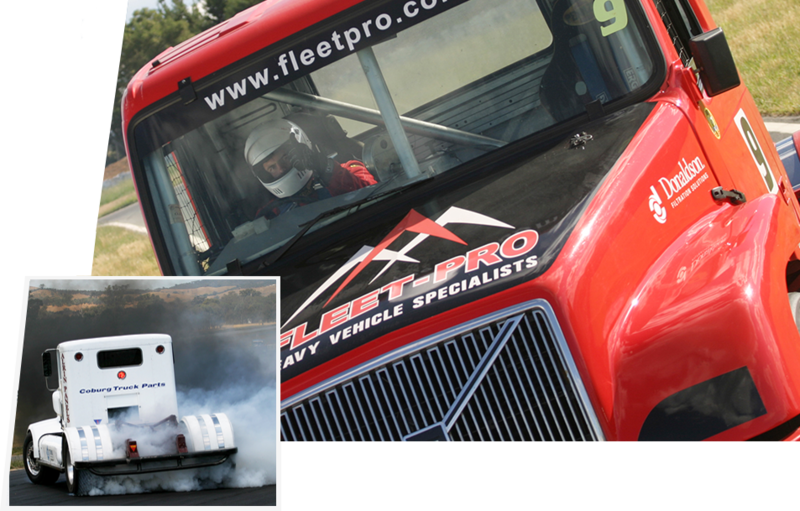 ◦The largest field of trucks was also at Oran Park in the 1980’s with some 22 trucks racing. In the early days, truck race meetings were one-off events held throughout Australia. However, the sport has evolved into the form that it is today. A regular series was developed with rounds in various states of Australia. Regulations have been changed, with all trucks being required to be a single drive unit, minus sleepers and other accessories which had been present in the past. The trucks became purpose built racing machines, built simply to race and never pull a trailer or load again. In 1993, the rule book was re-written and the ‘A’ class was renamed to Supertrucks and the formula was opened up to greater modifications for racing. At the same time as the Supertruck formula was changing, another truck racing formula was established. The Light Truck category was introduced which had become predominantly Isuzu SBR/FSR but available to any vehicle under the 3 Tonne, 7500 cc engine capacity. The Light Trucks intention was to create a class of race truck, which was more economical, lighter in weight and more nimble than their Supertruck counterparts which attracted more budget conscious rev heads who wanted to get involved in truck racing. Many an Aussie (eg Crick, Russell, etc) have introduced themselves to the experienced and determined competition of the kiwis and also encountered some spectacular incidents at the New Zealand circuits. In response, the Kiwis (eg Salter, Tulloch Richards, etc) have frequented our shores and certainly responded with some awesome, hair raising competition. Drag racing at Barnsdale and Eastern Creek – Note: The fastest 1/4 mile time to date by a Supertruck is 13.2 seconds. Supertruck racing is a field of motor sport that is a major draw-card for drivers of other categories wishing to experience a ‘drive’ in a race truck. Just the size, dimensions and the precision needed to successfully navigate these thundering, smoking monsters around the track has enticed many an experienced driver to ‘give it a go’. Today, the truck racing drivers age range from the 20’s to the 60’s, with the older drivers still experiencing the adrenaline rush, that’s just so, so addictive. Current drivers, their history, credentials and teams can be found on our home page. However, one particular driver, and his team are the ‘stayers’ of Supertruck Racing. This driver has been pushing and throwing his machine around many circuits dating back to when racing first commenced in Calder in 1988, until today. Frank Amoroso is his name and he is a legend. He also still clings onto that rush of adrenaline every time he dons his race suit, kisses his wife Marie for luck, fastens his helmet and swings his (not so young) body into the driving seat. He has won some and lost some but still has the enthusiasm and testosterone to ‘give it another go’. Keep on peddling Frank, congratulations to you, your wife and your Pitt Crew. Mainly voluntary but are men who are passionate, dedicated and committed, happily feeding their lust for the love and thrill of truck racing. 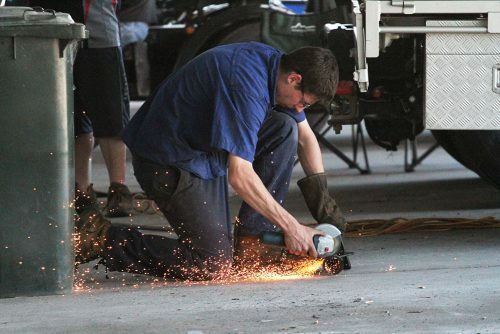 The trucks are hot and heavy after a 1 – 15 lap event, yet these volunteers buzz around checking, calculating and coordinating the vehicle aiming to squeeze that tiny bit more thrust or momentum, just to gain an edge on their competition. Pitt Crews are the pumping heart and the revving soul of truck racing with never a worry about getting ‘down and dirty’. Unfortunately, at the moment, there are no female truck race drivers. However, behind every successful race truck driver there are women lending their support, encouragement and commitment to the team.There’s no doubt that Supertruck Racing is a man’s world. 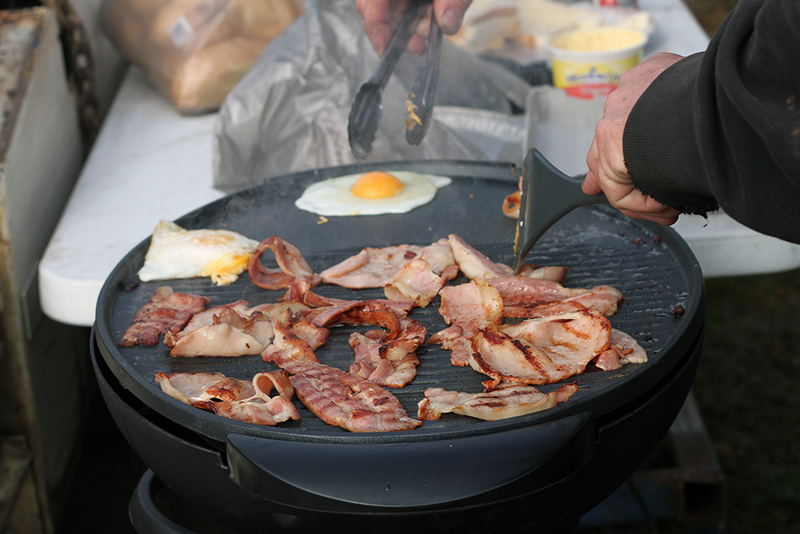 The smell of race fuel, grease, smoke, sweat and dust certainly can’t be compared to a Tupperware Party!! 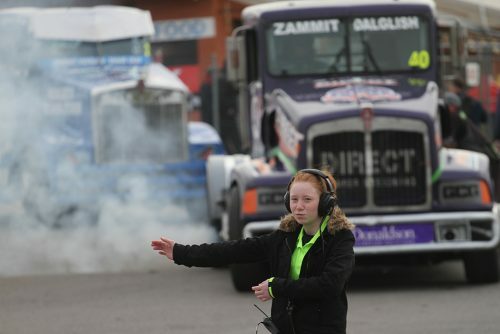 However, the women just love the thrill, the spectacle, the courage, commitment and strength that it takes to be a “Real Man” that being a “Truck Racer” commands.The Women mainly organise (the men) the social activities and many from other racing categories are openly quite envious of the comradery, friendship and support between race truck teams. There is no doubt that these teams are united in supporting each other whether it be to crawl under a big MACK to fix a broken wing nut or help install a new motor. It is truly enlightening to be a part of this great association. At day’s end, with the sun setting in the west and the smell of smoke, tyres and fuel slowly dissipating in the night air, a cool tinny or 12 surely washes down well. Especially when in the company of the New Zealanders. The hospitality shown to the Aussies when in NZ is “an affair to remember”. If ever you get the chance to party with the Kiwis, don’t miss it ! A good day’s racing surrounded by great mates (male and female) and a VB. Bliss ! !